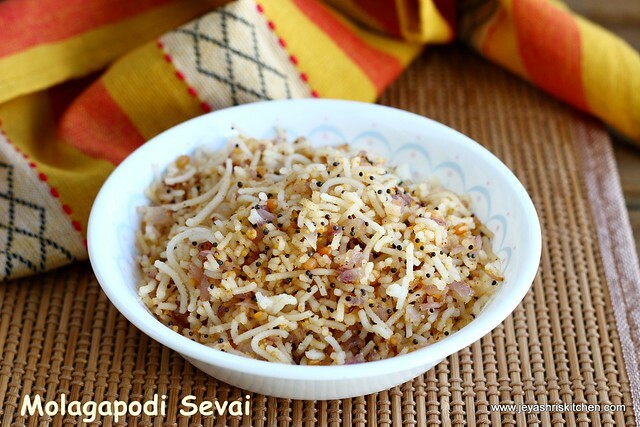 If using instant sevai cook according to the instructions given in the packet. If using idiyappam follow the link given in the ingredient table to see how to make idiyappam. 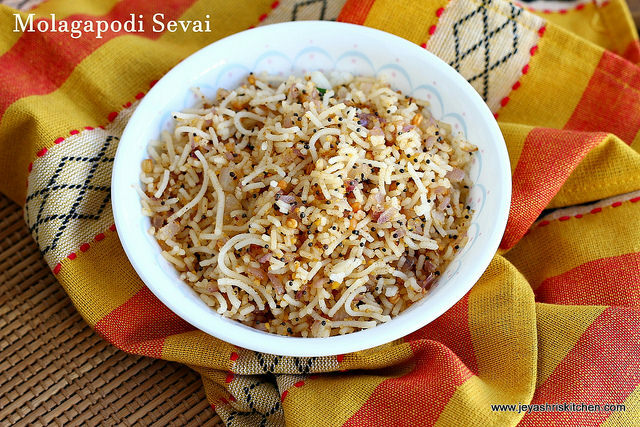 Instant rice sevai works perfect for bachelors. Chop the onions into small. In a pan add oil and add the mustard seeds and urad dal. Add in the finely chopped onion to this. When the onions turn pink add in the cooked sevai. I used home made idiyappam. Add the molagapodi to this and mix well. Cook for 2 minutes in a low flmae and add few drops of coconut oil(if adding). Switch off the flame. Add curry leaves to this. 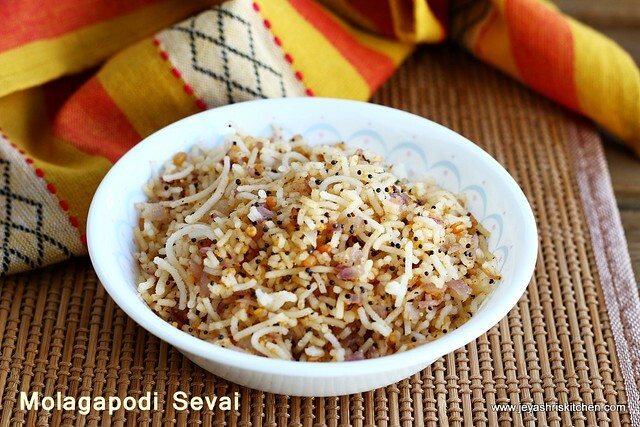 Super hot and yummy sevai is ready for breakfast. You can add 1 tblsp of peanuts while doing the seasoning. Grated carrots can be added while garnishing.